The sky is the limit with conversions really, so It'd be pointless to list every cool looking customisation we've seen or made. However a lot of my projects were inspired by seeing some particular projects done by others. 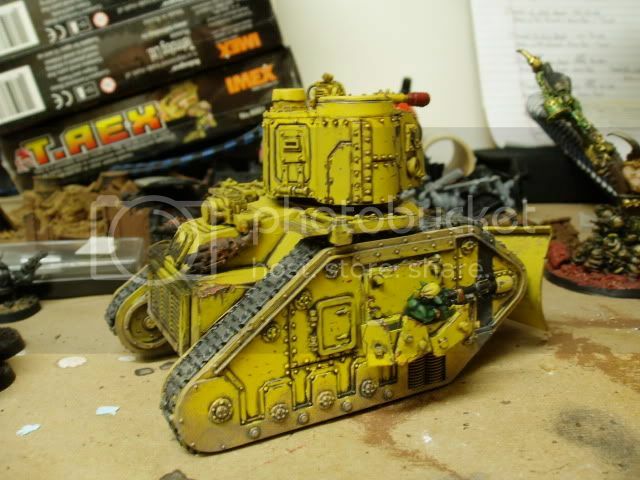 It could be complex greenstuff sculpting or as simple a thing as turning a tank hull backwards, but sometimes I'd see a pic and just say "Wow, reshaping that part makes the model look so much better than the stock kit" - or "why in hell didn't I think of that before!" So thought I'd start a thread for sharing such inspirations. Please post any stuff that you feel the same about. Your own projects or others, finished models or raw ideas / sketches. The emphasis for posts being innovation -altering the design and/or aesthetics of a model, and complementary kitbashing, rather than just "this conversion looks cool" (there's enough threads dedicated to cool conversions already). 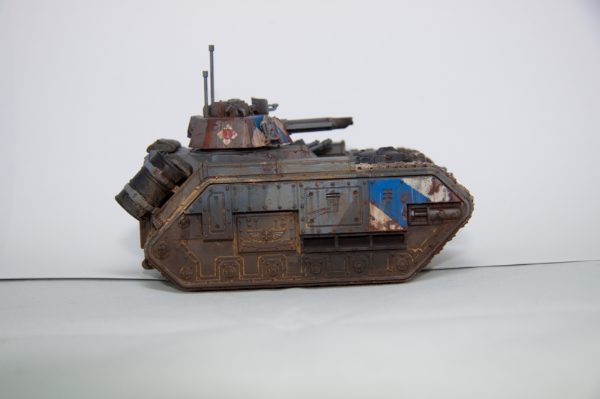 This particularly excellent model was called the King Russ or Golgotha assault tank and was produced and sold in limited numbers by some Eastern European genius. 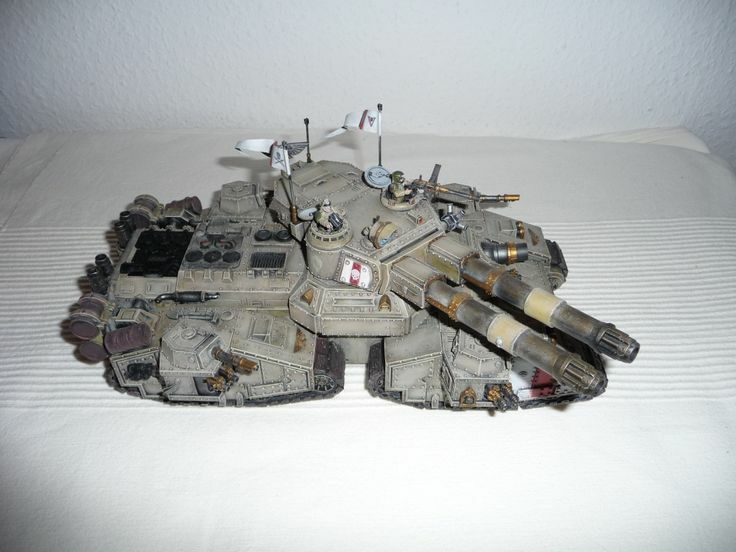 Sponsonless Predator: Someone rightly thought a World War 1 weapon layout was somewhat illogical on a 41 st century tank, and instead placed the heavy bolters coaxially and in an "AA mount" on the commanders hatch, with great results. Inspired by the sponsonless pred I took a slightly different take on it and mounted the secondary weapons in the hull and on a cupola mini-turret respectively. I was looking around at all the chaplain models. Most are good, but I stumbled across this legion of the damned sergeant and figured that with a simple swap of the power axe for a crozius, he'd make a better looking chaplain than any of the proper models currently in production. One of my favourite changes is the use of WOC kits with CSM. RazakelXIII's Word Bearers have to be some of the best CSM going! Even though the sequels were terrible, that game will always hold a special place in my heart. They are Badass looking Dreads ! I might "borrow" that ! Great idea for a Thread, I too like to convert even the basic troop type , it just does my head in if they are all the same ! Subbed ! these are fantastic and I totally agree with the Predator and Dread conversions! subbed for the next installments! Thanks guys, glad it's of use to folks. Just kicking it off really -I'm sure there's a lot more experienced converters than me out there that can contribute, (whether completed projects or drawing board ideas), but I'll be happy to update the thread with any more inspirations that come to mind. My own abaddon. Using only the weapons and hair from the original. Now he isnt so tiny, or awful looking. Turret swaps are a fairly obvious and common customisation, but this one would stand out (and be flaming expensive to boot): I was looking at the FW Primus Redoubt turret and thinking it'd look great on a legion fellblade. I'm not sure it'd look as well on a GW baneblade, because the roundness of the Primus would clash with the squareness of the baneblade hull. Another take on the sponsonless pred -this one is Warhead studio. As an added bonus the weapon loadout and configuration will cause quite a stir at tournaments!...and most likely a disqualification. Cohesive squad poses: Modelling each squad member to make the squad look like it's doing something in particular. This is by no means a new idea, but I've seen a lot of great new takes on it. Multi-part plastic kits allow for an impressive variety of poses. 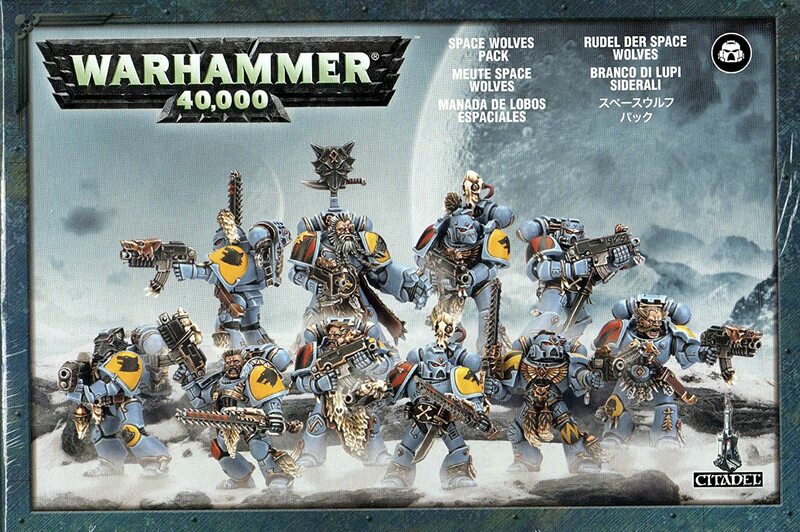 Take the space wolves pack for example. Not that there's anything wrong with any of those poses -but what is the squad actually doing? The answer is "A little bit of everything" or "nothing in particular." And if that's what you're going for, fair enough. But how about a squad where everyone is engaged in one or two particular actions? I don't mean posed identically -just working together. Say the front 5 guys are engaged in close combat, feet braced, swinging their blades, turned at the hip in mid strike, or leaning back parrying. Meanwhile the rear 5 are running forward, swords poised to strike, pistols aimed at enemy heads. That's an idea I had for my blood claws, and it's as simple as getting a few kits, and reserving the running legs and swinging arms from all the kits for a single squad. The result will be a much stronger sense of dynamic and action for each squad. Squad aiming and firing. The models are Black Ops Exo Lords from Anvil Industries. My own development of the "squad cohesion" idea was to have a squad firing in unison at a mid distance target(s). The entire first rank is crouched, aiming and firing, with the rear rank standing and firing over their heads. The sergeant is directing their fire. 1 marine is reloading and another tossing a grenade, for the sake of a bit of variety. That's the trick I find -creating unison but not repetition. Subtle changes in pose also help with this. This squad are scouring for the enemy, The front rank of is walking forward cautiously. They have their weapons trained to the front as well as to either flank, covering the terrain they're going into, because they're not sure where the enemy is, whilst Sergeant McWolf checks his scanner. The rear rank are holding back, observing for them, chatting on the radio, but ready to support their fellows with a sniper rifle, SAW and medkit. Three of the squad have their blades drawn -They're anticipating possible close combat. This illustrates that you don't even have to have all the models doing the same action, just model them with regard to how they're interacting with one another and thier surroundings, and you'll still have a cohesive look. Don't boost someone up a ledge, have them get downed, because he cant pull you up and you cant get him up ahaha oh we laughed hard at that failure. But loving the dreads, might have to make a couple killakanz in the style of. Excellent take on a dread! Looking forward to seeing it painted. What model did you use for the giant squig? Talking about making a small change to a model to improve on the looks, my first thought from my own experience was the Wave Serpent. While I did make many changes to the stock model, some just for my own reasons (mostly being different), I did make several changes to bring parts of the model in-line with what I expected. The main change I made was to finish off the nose of the thing. So I just continued on the lines of the hull and completed the nose. I don't see why you would not do that and leave it cut off, as it is on the stock model. I agree. I also think it emphasises the downsloping cockpit better. An improvement to be sure. I'm liking that glossy blue paint job too. I sculpted the squig from scratch So i'll take that as a huge compliment I just used a wooden ball as the claw, then did the teeth, followed by lips and face (building outwards basically), finishing with the flesh. Initially had going to be a bike in the style of the 'dog thingy ma bob, from the mario games on N64'. The tall dreadnought: I've always liked the dreadnought model. 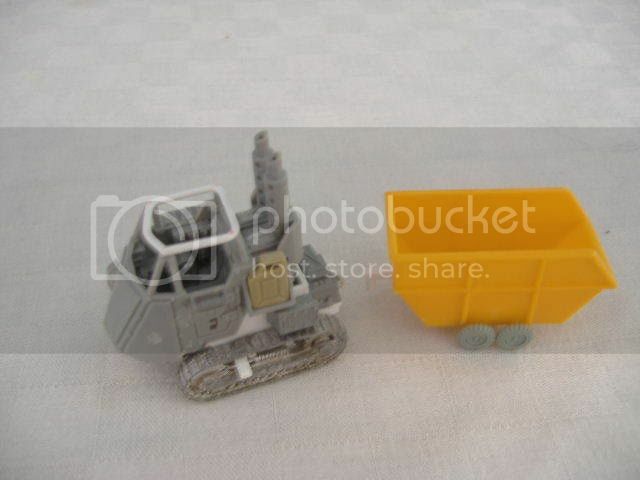 I had one of the 2nd edition metal ones and it just had more character than any of the tanks I owned at the time. 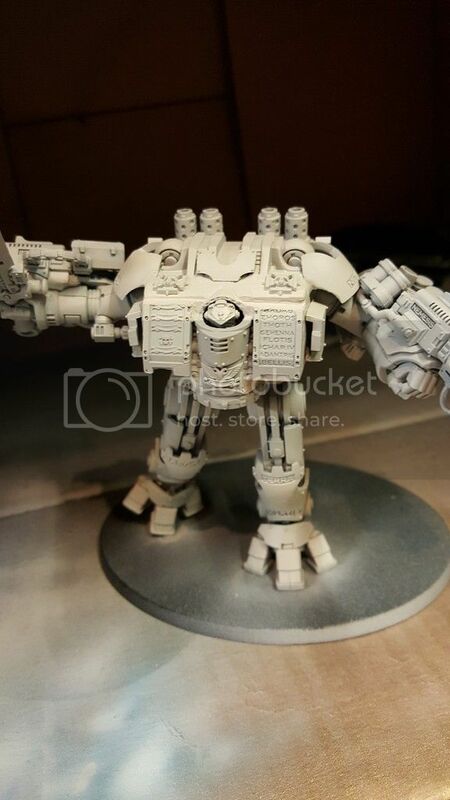 I might be unusual in that I actually prefer the aesthetics of the basic dreadnought to the FW Contemptor...with one exception -those stubby legs that in reality would only allow it to shuffle at best. A fair few people had the idea of giving them a proper set of pins, and when I saw these I knew I'd never be happy with fielding the stock model. Some of these converisons involve simply lengthening the legs, others incorporate the chicken-leg design seen in sentinels. All are awesome. Indeed, it's almost bird-like. Thanks. That paint-job was harder than it looks (and harder than it should have been); Grey shaded undercoat, metallic blue, and then a few layers of green interference paint, with a gloss coat. There was a lot of work getting the effect as good as I could. Yeah, I don't like the legs on the stock dreadnought. I will be changing them on any I get in the future. You certainly can't go wrong mixing those 2 kits! Incidently both CSM's and Warriors of Chaos parts ad a good feral touch to space wolves too, once the iconography is removed. Another answer to the dreadnought's questionable locomotion is to give it more legs. Love or hate space wolves, you've got to admire the stance of this thing, christened the "dognaught." It's a shame the GW design team couldn't have given us something novel like this, instead of Murder McMurderfang and his awful-looking head. Indeed. I'll be running one because I like it, but they've been back-benched for sure. With the exception of the rifleman. Can only hope dreads will be promoted with some beneficial rule changes in the next edition. Wow, some great stuff in here. That dreadnought dog is great!! Biro's head's make a pretty good shell ...clever, I never would have thought of that! Warhead is a Finnish 40K gaming group/club in Pasila, Helsinki. Thank the Emperor I'm not a Dark Angel. I hope you repair that popped vein! First of all, Aegis Line MK2, instead I made my own out of Sculpy, it fits my aesthetic better then GW's and can be modified for scenario games. 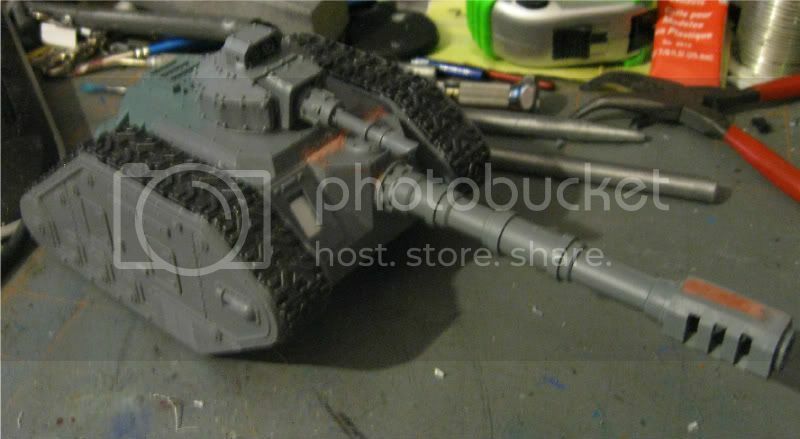 I also found a way modify the Taurox to make it look cool - its the same size and everything I just took a page from the Buffel APC used in the Brush Wars. Good take on the Taurox, that's a gun-truck if ever I saw one! Looking forard to seeing this finished. The original GW model is a good concept but I feel the model is just badly proportioned, and those minit track units just don't cut it. Nice aegis line too, the sandbags are fairy universal objects i.e. it will mesh well with most battlefield. I like the GW ones too but straight metal walls can look out of place on a forest or wilderness board. As for the Stormtalon: If you're not going to put legs on the thing, (see page 1) do the next best thing and give it some decent wings, as opposed to the the stubs that the model comes supplied with (seriously when I saw the stock model it reminded me of the vehicles from my 1990's GI Joe collection) These conversion look pretty sweet though. Proof that the "blocky flyer" aesthetic can actually look good with a little tweaking. One of my issues with the SR was the stuff up top. Removing the upper air scoop (which serves no purpose) and making a low profile turret helps make it look a little more air worthy. I like the Knight Titan models well enough, but this takes it to a whole new level of cool: "Hab Block Heavy Demolition Servitor". Shoulders replaced with more angular ones, less armour and more exposed workings and wiring. The main gun has been switched to the carapace, and it really suits the model. 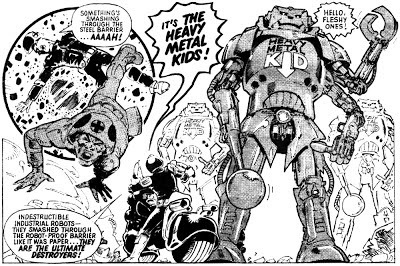 The idea of a giant construction bot being pressed into combat service is novel and brilliant, and lends some credibility to the use of big smashy close combat weapons. That's awesome. Let us know how they turn out. 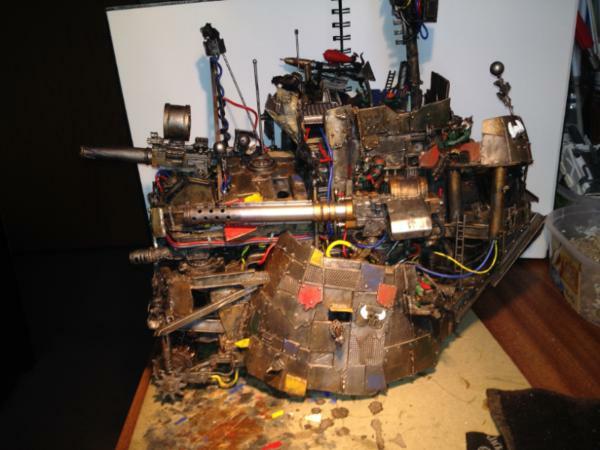 Were the robot wars anything to do with the ABC warriors, or different timeline? Ah right. I stopped reading it around 1994 myself. Slaine ftw! Hiya Vic, glad you like the thread. You're right it would be helpful to have a link. Most of the pics I've posted to date were taken straight from my hard drive - I'd downloaded them as visual references for my own painting and modelling -so unfortunately I don't have the URL's handy. 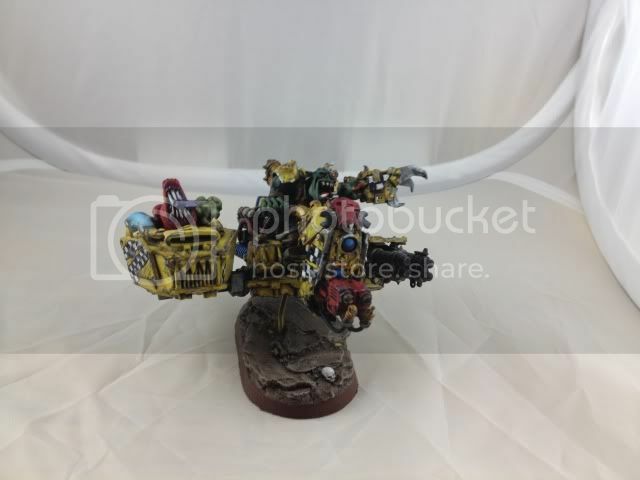 Though you'll find them easily enough by just running a search for say "Wolf dreadnought" or "Stormtalon conversion" either here on Dakka's P&M blogs or on Google. 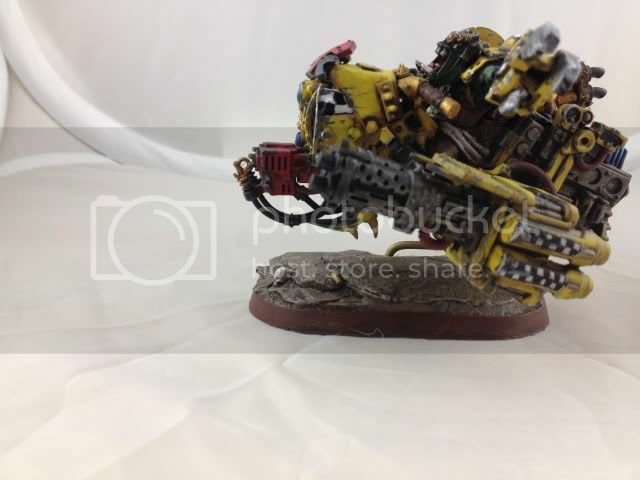 I saw someone convert a DV Helbrute into an Ork Deff Dread. It was perfect. To compliment the Backwards Leman Russ reference, I thought I'd show you guys my Backwards Leman Russ Vindicators. It's a really simple conversion actually and the Vindicator bits are a good match with the Leman bits. Love it, it looks superb! So damn good! Also is it just me or do Khorne daemons (of all sizes) look better with black skin than red? While I love the "Mad Max / post apocalyptic hillbilly" look that gives Ork vehicles their charm, I find some of them are too ramshackable and/or badly balanced and/or sprawling to be taken seriously. I prefer ones that are solid and practical looking like trucks. This "Mega Truck" pretty much sums it up. Mean and tough looking, and still 100% Orky. Made by extensively converting an M1078 armour cab kit. 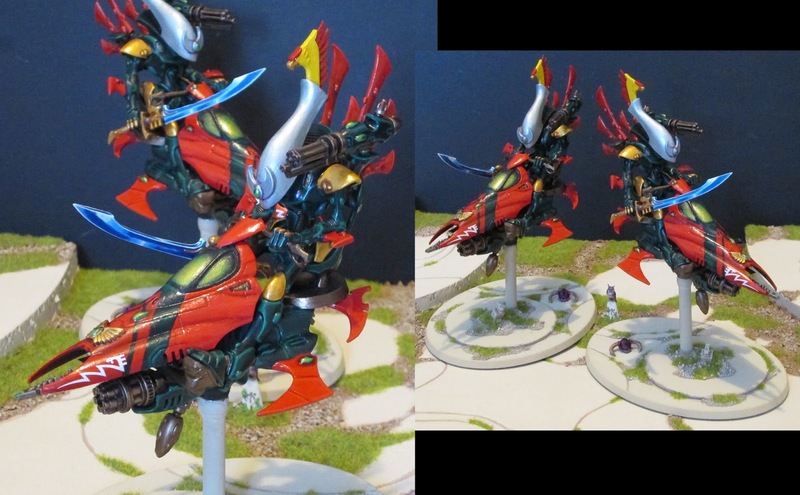 Had to love this alt design Eldar Jetbike with its more angular looks. The ventral air intake is a nice touch and the angle its posed at just screams "Speed!" Inspired by a certain Playstation anti-grav racing series ; made with a Necron and God knows what else! Thanks thegreatchimp. I'm glad this has been received so well. The main body of the bike is a Dark Eldar Reaver jet-bike, the blades were replaced with Wave Serpent spines (that I didn't use on the WS earlier in this thread) and the rest is mainly plasticard, and yes that is a Necron warrior that's been chopped up and re-built (with some putty to fill in some bits and to make the "hair"). Thanks for the info Dr H. Look forward to seeing many more of your creations! Alienids: What better a way to augment a model than to pay tribute to the sources that inspired it? You'll probably agree the idea is excellent....and dead simple too. I don't know if it's just me but dreadnoughts wielding weapons in 2 hands just look great, really adds dynamic to the model. This is the already superb FW mega dread with a Stomper Chainsaw added, and numerous smaller alterations. This was a Games day 2012 Winner I stumbled across on Pinterest -I was unable to find any more links to the creator's page unfortunately. I hate to keep heckling the GW design team with this complaint, but once again "If your flyers look better with wheels, then you're doing something wrong guys!" Probably the best of the "wheeled land speeder" category I particularly like that it's loaded to the brim with weapons and stowage, reminiscent of an SAS jeep. walkers with 2H weapons look badass! generally means you need to shoulder mount a weapon system.... but then I also love shoulder mounted systems. So WIN WIN! That wheeled landspeeder is very cool, I might have to give that a go. I like chimera with the turret shunted to the back. Looking forward to seeing that -please post it up when you're happy with it! Yeah rear turret on the Chimera suits it. Which is funny because on the Razorback I prefer it forward. Or the turret is always greener on the other side?? 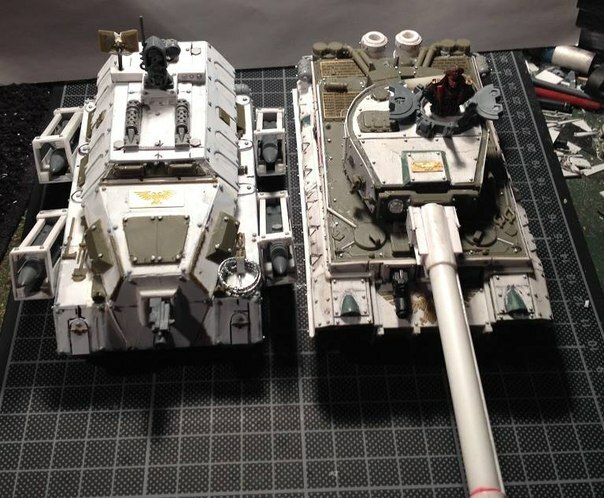 The updates to the Pradator and Leman Russ are excellent ideas. Why did they not lower the profiles while they were at it? Have they not seen the differences even between an M4 Sherman, and the M48 Patton? Or even better, the English tanks of WWII and the Challenger II? Or how about using kit bashed Soviet Era stuff for the IG? Or moving the hips of the Dreadnaughts closer together so they could actually walk? But... I suppose... One thing at a time. 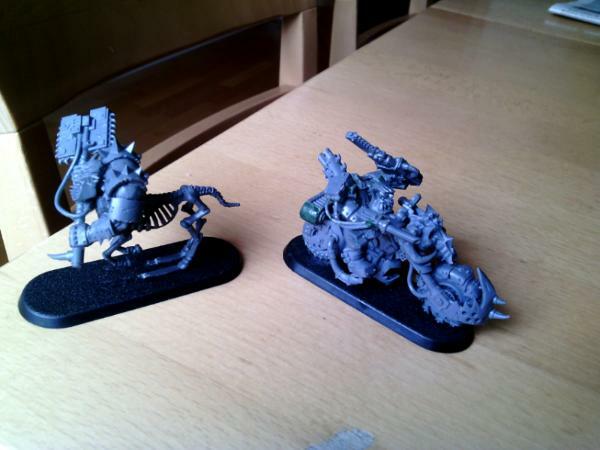 Not sure if this qualifies as "outside the box" conversions, but here are a couple of Ork "bikes" I am working on. Pictured with a real ork bike for scale. on I am using a defcopta body with some model wheels from some other model kit I found. I have the powerclaw mounted to the arm off the right side of the bike. The other bike is some kind of jet bike. I was at a bits bazzar a couple of weekends ago and dug through a box and came up with this thing on the fly. They are a little bit big but I am ok with that. I hope my opponents don't have an issue. Got to get them painted up so I can field that bike list I have been trying to put together for awhile now. Finally have 22 (including these monstrosities) ork bikes after this last weekend of swapping. 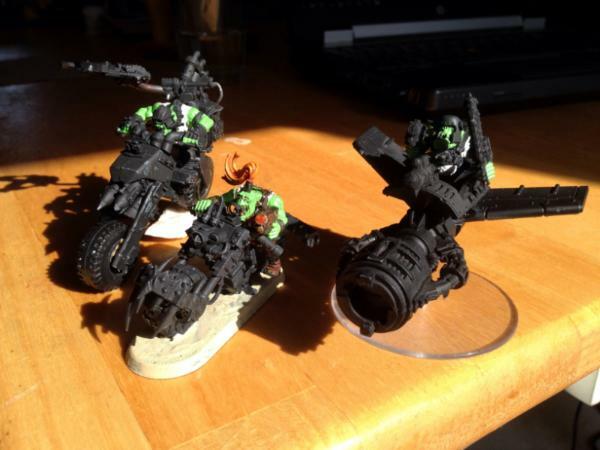 Not sure if this qualifies as "outside the box" conversions, but here are a couple of Ork "bikes" I am working on. If you feel they were innovative (I'm in total agreement with you that they are!) then they absolutely qualify! Great work, particuarly the one on the left. Truescale space marines: An increasingly popular conversion is to model the space marine (or any other model to represent their true height, as per the fluff. There's a bit of debate as to how tall they should actually be compared to other miniatures, but that aside, increasing the height balances the bulkiness of the model. 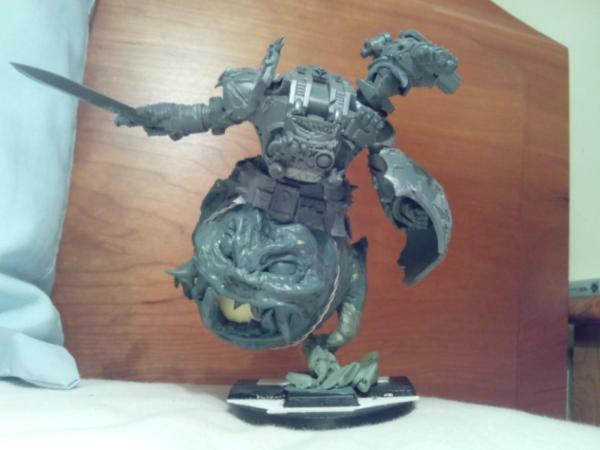 The usual approach is to add green stuff, plasticard or other material at the waist, legs or neck, (or all of these areas) to increase the model's height. Here's a particularly nice one, and a comparison to a stock space marine. 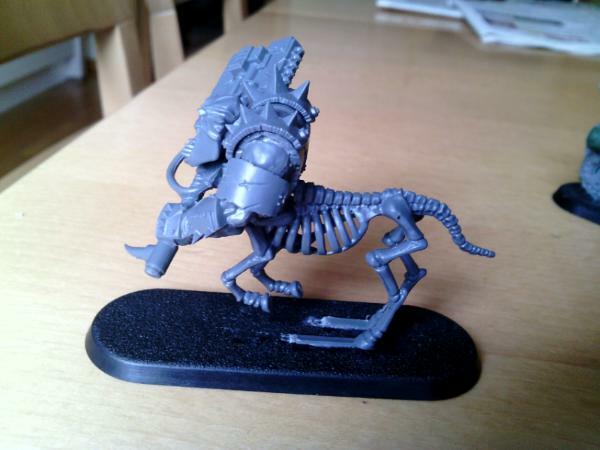 I basically plan to cut of the legs of some Nobz and combine them with "beheaded" skeleton horses of the Tomb Kings and painting the skeletons like metal, creating some sort of cybork-centaur. I still have to actually build some of these, but I plan to use these idea for most of my normal bikers, too. I will do my best, but don't expect pictures before wednesday, I am afraid that I won't be able to build them any earlier. 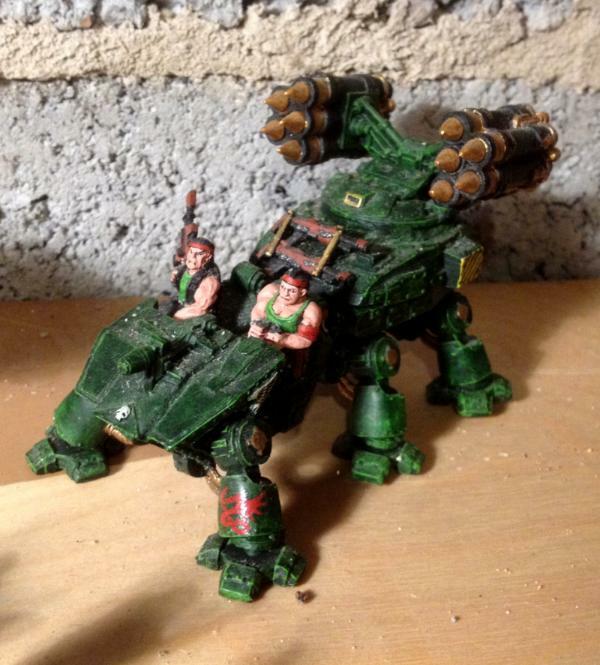 The second pic is a "counts as razorback", the third a land raider. Following on from your post Tankworks, here's another good appllication for a drop pod -splicing it with a landspeeder. So much awesome! Love this thread, and all the great work in here. Especially making SM flyers look not terrible! Here is my flack-crab for my evil IG/Renegades. 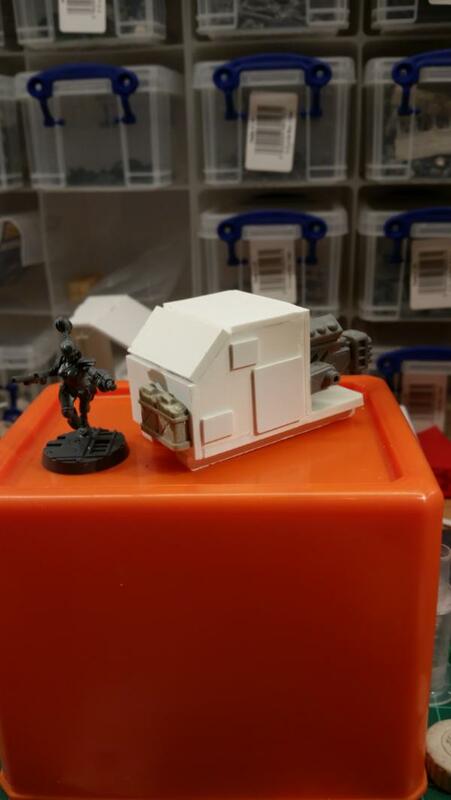 The wheeled one is a vehicle that will eventually be an Ork trukk, or BW (size is a little big for a trukk), it was made out of an M1117 ASV kit. Finally is something that may or may not turn into an Ork deffdread. It's supposed to look like an old timey robot made out of an old timey washtub, with the crank squeeze roller, that it's currently feeding a guardsmen through. 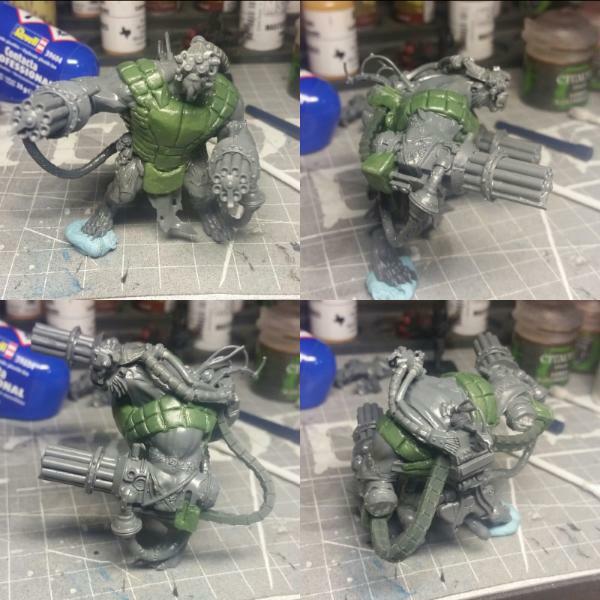 Ork terminators: May not be to everyone's tastes but I like this kitbash for as few reasons: It's a take on a more high-tech kind of Ork (and why not, there's no reason why orks can't scavenge terminator suits -they scavenge near everything else). The result is a cleaner look than meganobz but the weapons, heads and shields still keep the models definitively Orky. The hunched frame of the Ork actually looks right at home in a suit of TDA with the helmet mounted forward and low down. Piranha 2.0 I couldn't find much information into the conversion process for this this model unfortunately. Way to turn a mediocre model into a sleek death machine. Great work, what model train kit is it based off? The basis is Lionel '0' gauge which is nominally 1/48 scale so it works pretty good for 40K. So much good stuff in the Ork vehicle department. 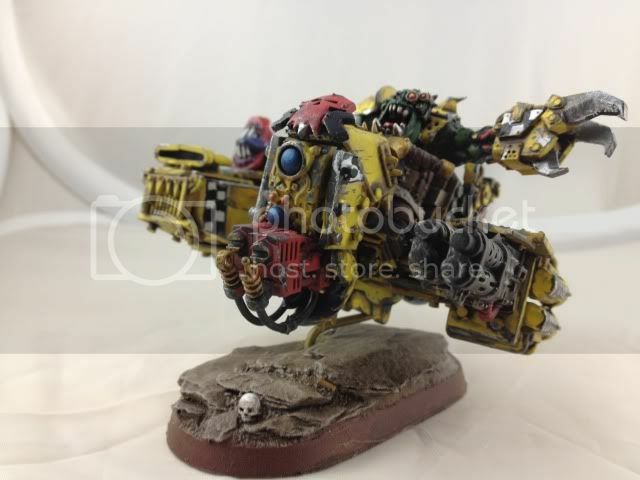 Gotta say this Ork Jetbike stands out though. I'm seeing Necron destroyer for the front plate, ork bike handlebars and possibly the frame too, tau skimmer engines and an imperial assault cannon. Excellent finish. Rough as Orky stuff should be, but a solid and powerful design too. that biker just hit the frontpage too^^ and rightfully so! Something that bugs me a bit about marine (and to a lesser extent guard) vehicles is their small size relative to the troops that accompany them -it's an inevitable complication from the infantry being "heroic scale". Well here are some Killa Kans i made a while ago when the tombblades came out. Converted these and painted them in 2 days an im really happy with them. 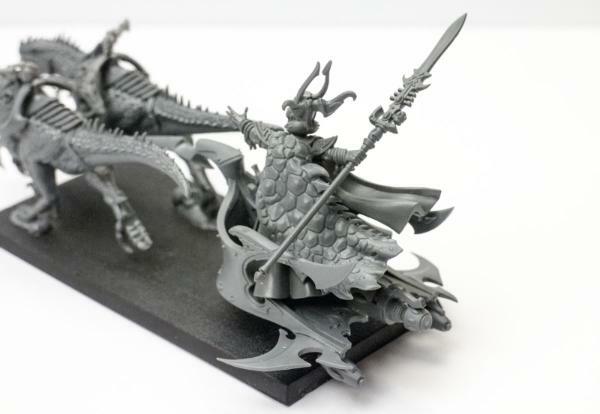 Lots of nice stuff in here and makes me want and need to get back to converting. Stormviper. What a Beautiful hybridisation! Engines and rear wings fromt the Strormtalon kit, unclear as to whether the rest is scratch built from plasticard or from another model kit. Update to the conversions I posted earlier in this thread. 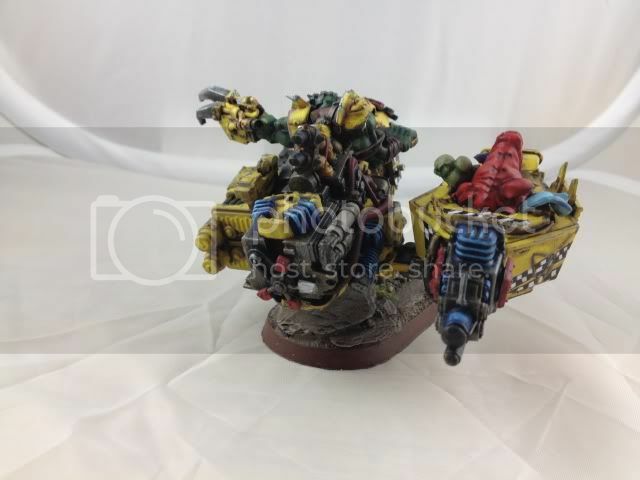 I have completed painting my ork bike conversions. The highwheeler/choper converted from a def copta and the jet bike created from a plie of bits I picked up at a bits bazzar for a $1 or so. That is a cool conversion. Seriously thinking of making my own ! "Looted" Tyranids Some of these biomechanical contraptions hit the front page a few days ago. Probably doesn't fit in with the fluff of either army as I 'm not sure a tyranid can be domesticated in any sense of the word, but I hold to it that the rule of cool overrules the fluff. 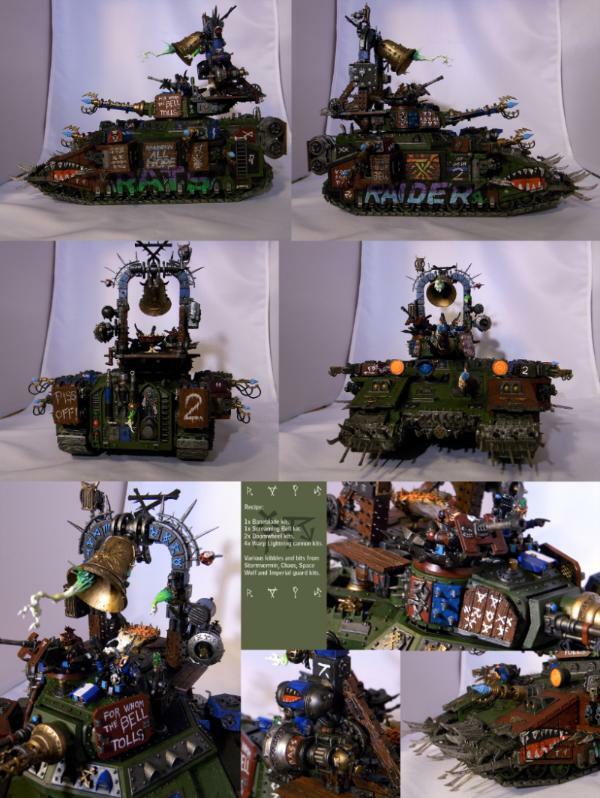 What an excellent alternative take on ork war machines! Hey, if it exists, it can be looted. When in doubt, remember that if you can get enough Orks to believe in something, then said something happens. Now, where is that looted Bloodthirster when you need one. 'Domesticated' in the same sense as a lobotomised, bionicised servitor is 'domesticated', though? where did you find that DA Dread, the first in your list of photo's? 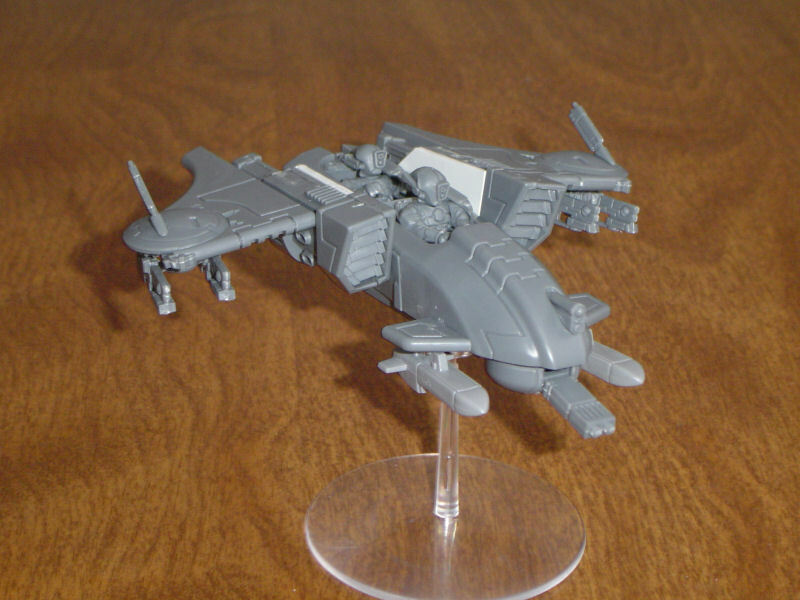 I'm thinking the base to that storm viper was based on a battle star galactica viper model. Ah yes , the two Greater daemons Time and Determination ! 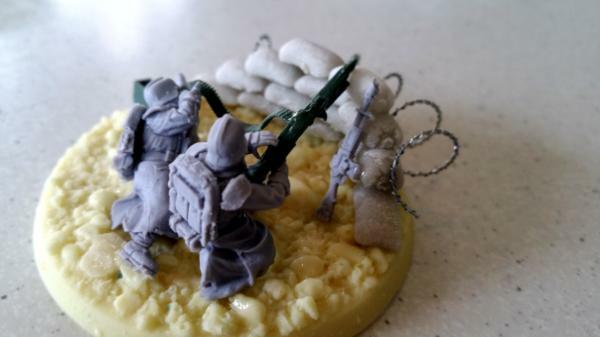 I bought some DKoK autocannon teams, but found I really disliked the scale of the autocannon to the actual men supposed to operate it. There is no way two regular, normal guys would be able to cart a piece of kit like that around a battlefield, on top of all their gear as well. So, thanks to Tamiya's 1/35 German MG team kit, I came up with a happy medium. I guess they're Heavy Stubbers now? Dog naught takes the cake. That conversion is awesome! What are you using for the sandbags. they are soo fluffy. i think im gona die. I'm using Pegasus Hobbies 28mm scale sandbags, they come loose in packs of ~100. I don't think I've ever heard of sandbags described as "fluffy"... Certainly not when I was in the army. That's pretty awesome! 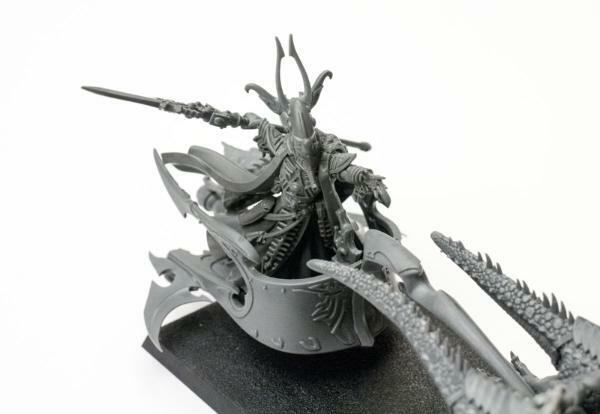 Though I will have to admit, I expected to see a warboss on an Eldar jetbike. Chaos Nurgle themed raptors I did. Dead easy conversion. The Carrion wings essentially were a direct replacement for the jet packs. A little green stuff work to smooth out the feather transition and you're done. I did these when bitz orders were still possible from GW. These models are all metal and heavy, hence the large bases. Sold them about 2 years ago to pay for a new laptop... regret that decision. Well that certainly would have been easier! I'm a big fan of customisation of individual squad members, and War Head Studio really hit the nail on the head here with these Kroot. From the war paint and makeshift armour to the array of weapons, there's an aura of primitiveness but effective brutality about them. It's a bit reminiscent of the kind of equipment you might see a tribesman with in colonial era America-tomahawks and clubs mixed with rifles and more modern kit. I like that some of them are wielding tools -they have primitive vehicles, so it stands to reason that some of the tribe are mechanically inclined. That skimmer is a fine piece of work too. The whole army has a touch of Ork to it, but it remains distinctly Kroot-like too -a very well thought out and unique creation altogether. The homepage is in Finnish so I wasn't able to tell exactly what was used in the conversion process, but you can clearly see some Ork, and Tyranid bits (I particularely like the shields) as well as a scattering of imperial gear like the rifle scope and the targeter on the skimmer. True scavengers. Dark Eldar Blood Brides made from Fantasy Witches with some weapon swaps. 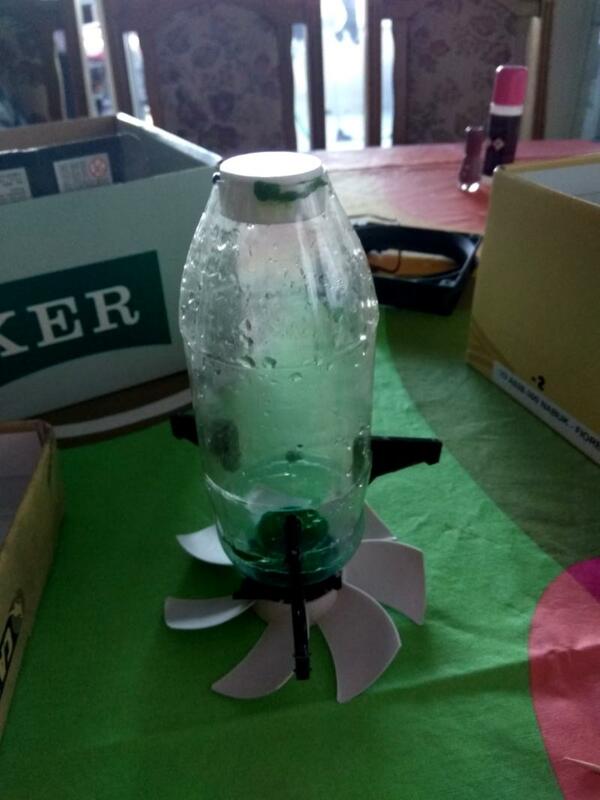 Still needs work, but it is a quite decent prototype. Both those Ork-Centaurs are great, looking forward to seeing how they turn out. Looks like Gork and Mork sent us similar visions. Are there more of these kind of Nob bikerz or is this the only one you converted this way? 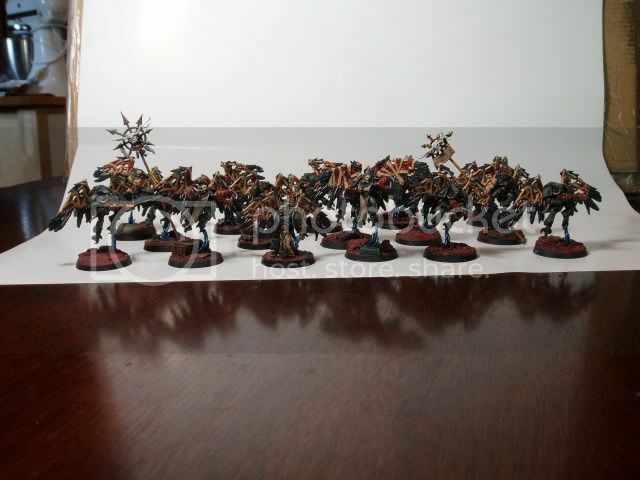 thats my only, but definitely keep us updated on your cyborg-centaurs, How do you envision the paint job? and what about anything inside the horses ribcage? I will most likely replace some of the ribcages with the fuel tanks of burna boys and I've also planned to replace some legs with wheels. I hope that I can find some leftover exhaust pipes to replace the tales with, they look to much like actual bone. As the paintjob I planned to paint the bones like the other metal bitz, so Leadbelcher as the base, followed by Agrax Earthshade and some silver edge highlights. 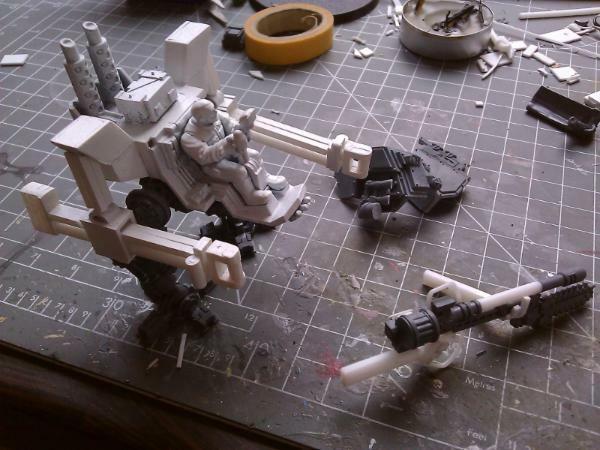 But first I have to add the "bike's" guns and fill in some gaps where the ork meets the the skeletton horse. 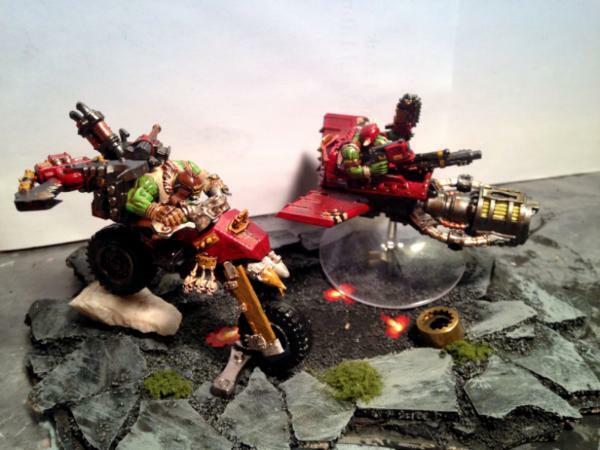 Ork Go Karts. Just imagine them, so tiny, with tons of Dakka on them. Hell, I need to do this right now. Does anyone know a good base model? just ordered myself loads of cheap plastic toy cars for this purpose, il let you know how it goes. I guess biker boys could work. And the shape of the bases could be a problem if the karts are too wide. 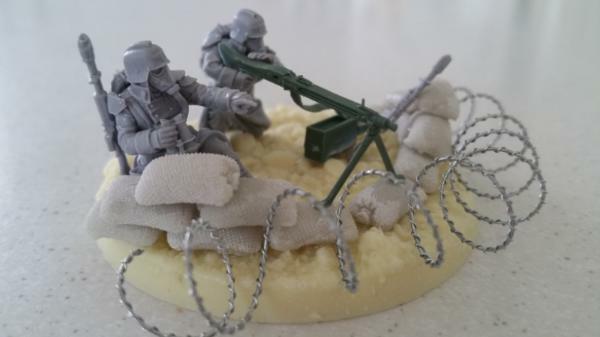 The 40mm bases could be more fitting, but if you want to play with them, then this could cause issues. Shouldn't be a problem in a friendly environment, but I wouldn't risk it and in a competitive environment it's probably a no-go. 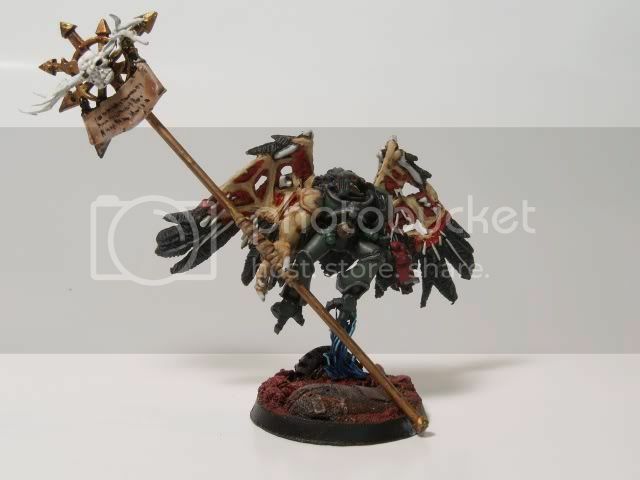 Dat Ork with umbrella though, I can't stop laughing at that one. As arguably one of the ugliest sculpts (imho) to come out of the design studio, improving upon space marine centurions isn't difficult. Here's 2 of the best ones I've seen. The integration of the siege drills into the hand, as opposed to the stupidly bulky underslung drills and fist on the stock kit serves the model well. I also like the addition of a more proportional helmet, and those shoulder mounted launchers look sweet. Not to toot my own horn, but take a look at my Skaven Guardsmen! Excellent stuff! I saw a Skaven Baneblade somewhere recently and was quite amused and impressed by it -was that yours too by any chance? More enslaved Tyranids. This time It's a "combat servitor" from the Ordo Zenos. Based off a Trygon with a head swap and fitted with a siege drill, converted similarly to the ones above, and various bits for the carapace and targeter's etc. What a stunner! This is what we should have been given instead of that gacky-looking Taurox. 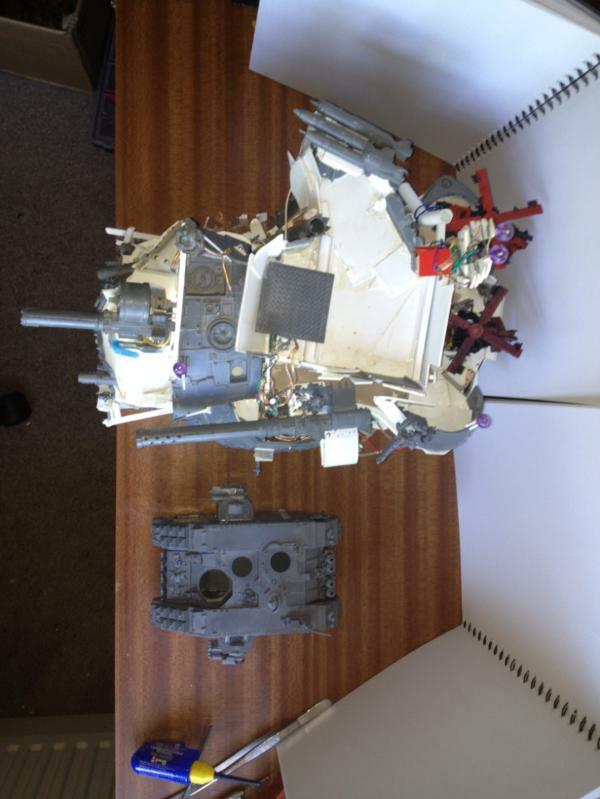 Ork Trukk chassis and wheels, IG multilaser, gunner and heavy bolter -the rest of the model is entirely scratch built plasticard. Oh man, that DA bike is something else. Strongly reminiscent of a Star Wars jetbike but just enough 40K to make it fit. Looks mostly based on a standard DA bike I believe? There's definately DA bike handlebars in there & possibly the saddle, it's hard to see. Just nothing from the Sammael kit. Some parts look similar like the wings, but upon closer inspection they're different. Its a Bike Frame up to the handles and the wing thing. Then the rest is built up from chopped Land speeder parts. like the antenna thing that extends out and the front pieces is the side door for the LS Engine. EDIT: VVVV i didnt make it fyi. I'm really starting to like some of these sponson-less tank builds. Gives the vehicles a more real-world feel and sleeker look. I loved the space marine bike and attack bike when they first came out in '97. Looking at them now, I'm surprised that the model hasn't been re-released, as they look very dated.Here's an alternative design. All parts are from commonly available kits, as described in the pic. Forge World released the Legion Outrider kit for their 30k sometime back that I believe was intended to mimic the old bike aesthetics. Oh I know -I've been drooling over that kit for the last year. Not running bikes for my wolves but still trying to justify a reason to buy it! IG trucks. Would make a superior model for the taurox. 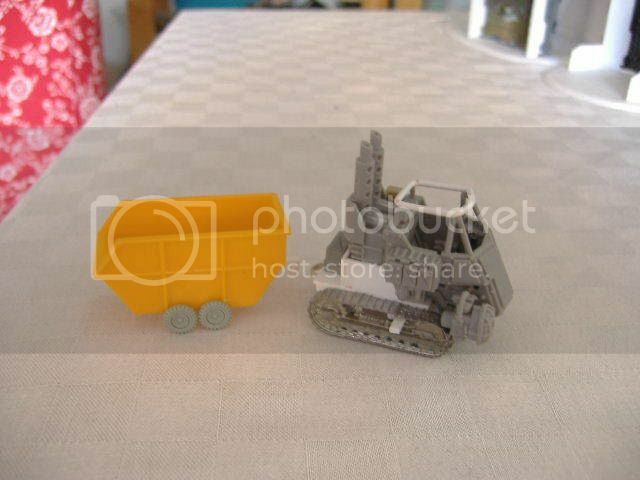 Cheap to make to, being 90% rhino / razorback + any suitably sized set of wheels. 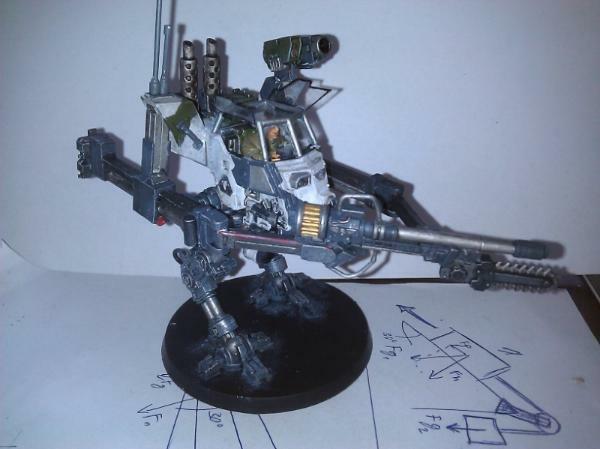 A nice take on an Admech transport walker, entitled the "Mars Universal Land Engine." Onager Dunewalker + Enclosed sentenel body + Not sure what the flatbed was made of. And on the subject of Dunecrawlers.... As conversions go I know putting more guns on a model isn't the most innovative idea, and can often takes away from a model in fact (land raider terminus Ultra comes to mind). But when the conversion isn't OTT, and is well done, it can look truly great. I like the stock Dunecrawler model, but this upgunned one looks like it'd atomise anything it drew a bead on, while still looking neat. I want one! Using simple plating over plating for the shins of my Knight conversion. This one is kinda prophetic to me as I made a Knight with rocket launchers on its back way before GW released the new Knight Warden/Gallant/Ect. kit. Anything but Tourney legal if this is even playable at all. Speaking of un-playable. What would Skaven do with a Baneblade. One of my most fun conversions and the reason you shout keep a hold of seemingly useless bits. Mounting the Bell on the turret used a lot of little bits cut from the wooden parts of the Screaming Bell and bits of sprue. I am currently working on a twin barreld Baneblade with Whirlwing missle pods in the style of the Command & Conquer mammoth/Apocalypse tank and a Command & Conquer Red Alert 2 Prism tank. The last using the Hull and track ssembly of a Tamiya 1/48 M26 Pershing tank and 1/35 scale M1A1 Abrams tracks. No pics of these yet. I converted this up a while back. 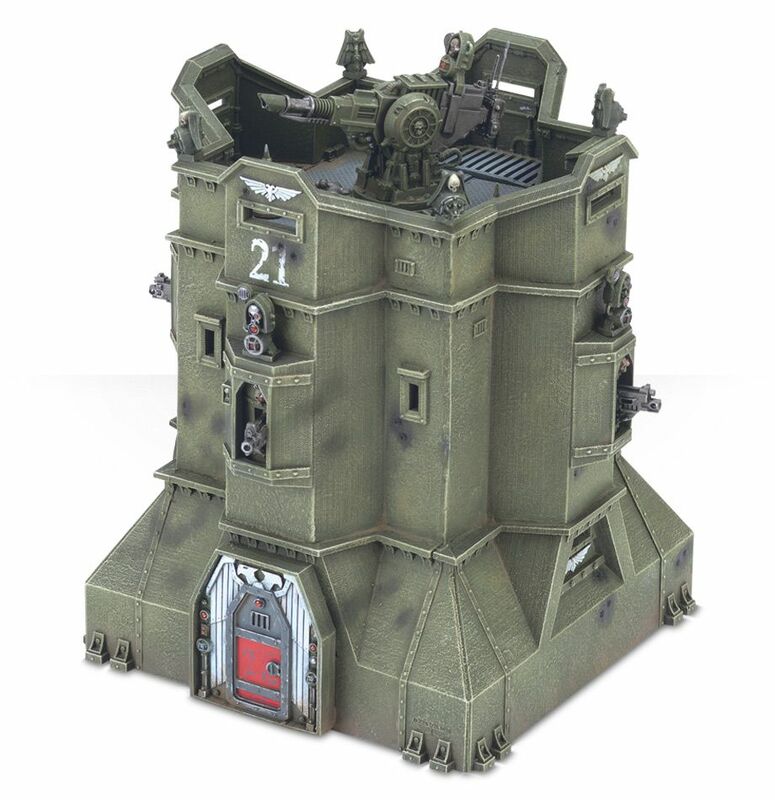 Its the old Warhammer celestial tower thing. But I 40k'd it and Orkified it using some extra Gargant bits Ork bits and scenery kits into an Ork orbital defense station. I stumbled across this a while ago Korbenn. It got a laugh out of me, as well as a high rating. Or should I say rat-ing? 10k views Delighted this is proving a useful thread, and have mightily enjoyed seeing other's work. Got some fresh ideas from some of those posts. Please keep sending the good stuff in folks! I know terminators are able to wield big guns one handed and not break a sweat, but they actually look pretty great cradling a rifle 2-handed. 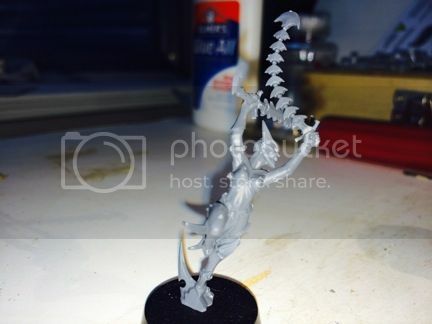 I'm attempting this conversion myself on an ac termie, so I asked the guys in Warhead Studios how they went about getting those stubby termie arms into such a dynamic pose. "The arms on the models are a combination of Terminator shoulders and regular Tactical Marine arms. This conversion gives the arms some length as well as the palms for actually holding the bolters, as the basic Terminator hands would be too cumbersome. The shoulders are not glued flat on the torso either, but angled a bit with the help of green stuff to make the pose more natural." Love the overall sense of movement with these models, the leg stances are superb, especially the running one. 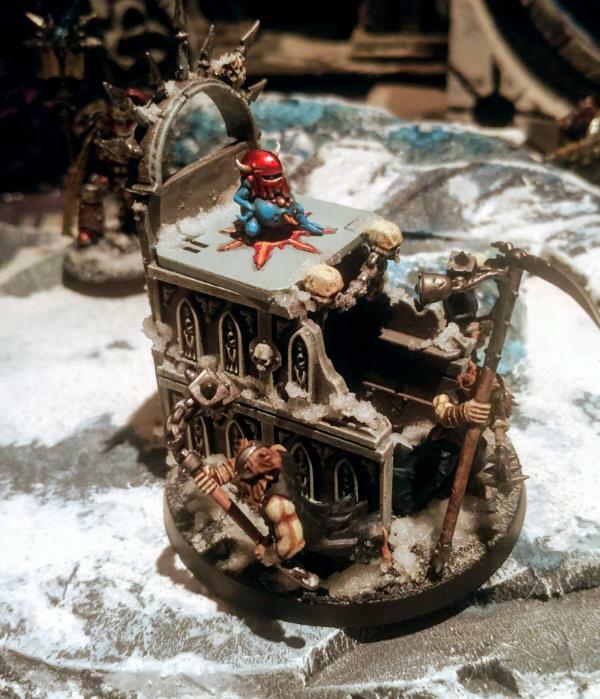 This hit the front page today so apologies if you've already seen it -I felt compelled to include it as it ties in with some similar themed conversions on the thread, specifically giving poor turret-deprived tanks their missing part. It usually suits them well. One mean looking vindicator. 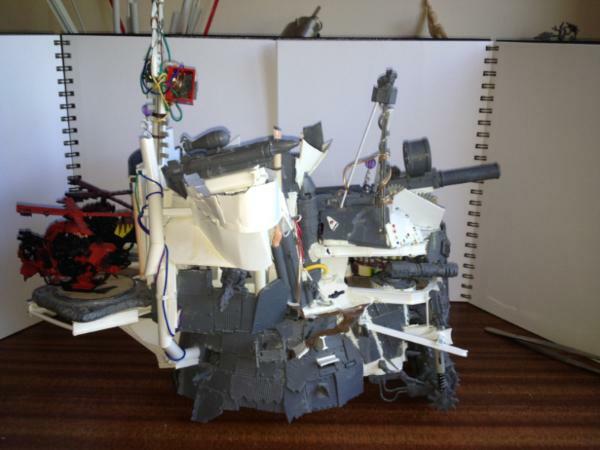 Conversion parts included a tau rail gun, gun drone sponsons and turret from a Russian T72 tank kit. 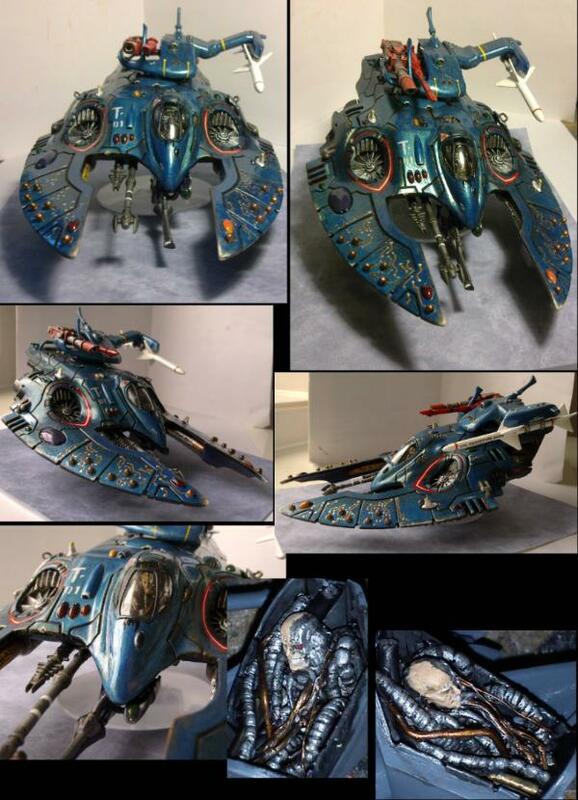 The Tau Devilfish is one of my favourite GW vehicle designs, so I'm not surprised that some equally beautiful conversions have been produced from it... I am however impressed. Who wants a drake when you can have a hellturtle?! This cracked me up! What do you get when you cross a piranha and a hammerhead? This. Stealth suit torso used for the head, ion cannon fuel cells for knees. 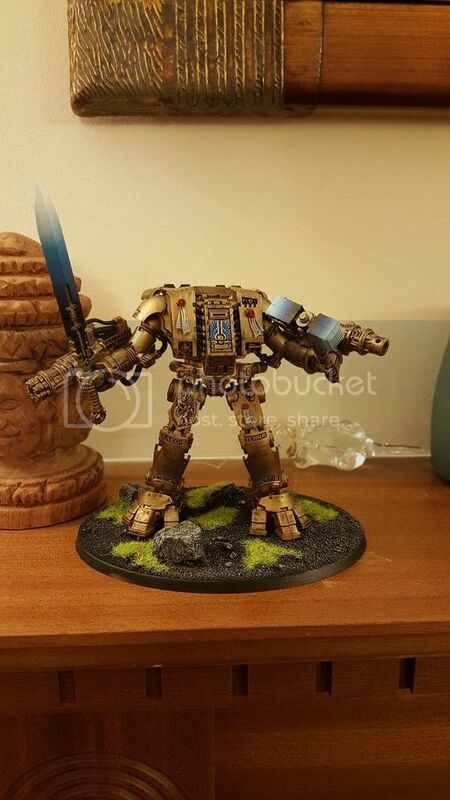 I'm pressed with like the aesthetics of the stormsurge and other new Tau suits, but this conversion takes the prize. 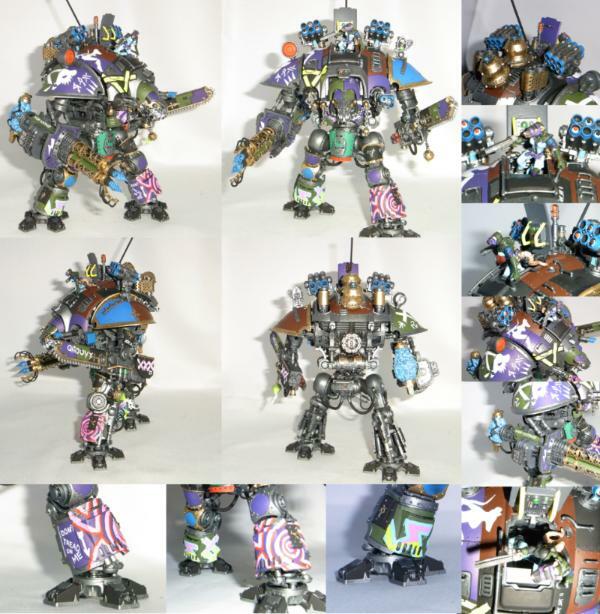 Featured on warhammer-tau.com http://www.warhammer-tau.com/2012/01/top-5-tau-battlesuit-conversions.html No link to a tutorial, unfortunately. Zombified space marines and guardsmen: There is no true "Undead" faction in 40k, so I was thinking of making an army along those lines. Anyway while searching I came across these on a "Necromancy Cult blog." 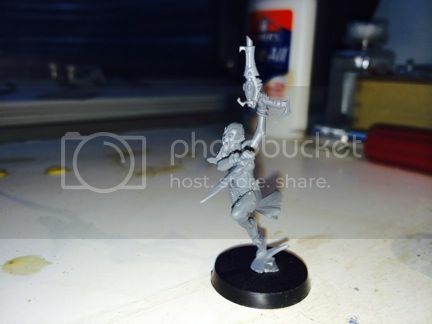 Pretty straightforward conversion concept -kitbash marines, guardsmen or whatever other race you choose with zombie, skeleton and ghoul parts. Or for the barer looking / uniniformed undead, it's even easier, just give it a lasgun, helmet or other recognisable piece of kit, and you're set. Within the parameters of official 40k, the pictured models would also look just fine as Nurgle plague marines and plague zombies respectively. Seeing the sloped turret mount on this Hellhound conversion has given me a few notions of sloping the top plates of my own tanks. It looks good and adds a bit of aggression to the model too. On the subject of the Chimera chassis -it has to be one of the ugliest produced by GW, it has all the boxiness of the Russ chassis without any of the cool, so anything which gives it a face lift is very welcome in my eyes. My latest this was a 1/48 scale m26 Pershing tank from Tamiya. CSM Obliterators. Another great conversion I stumbled across on the Bolter and Chainsword. From what I read, these don't actually use a single part from the (horrible looking) Obliterators kit: These use a Centurion as the base. Hellbrute head, neck / collar and weapons.Chest weapons replaced with Forge World noise marine sonic weapon. Iconography is sculpted. 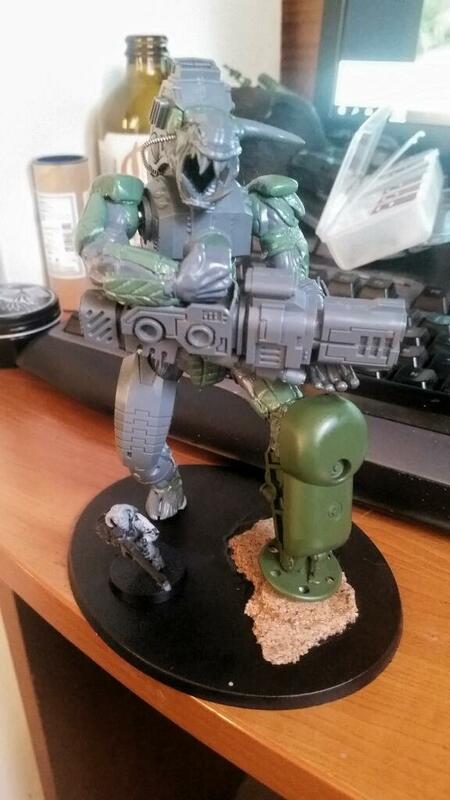 Lovely model, and provides a modelling use for those (horrible looking) centurions too. Its not painted but thought i would share, mase this standing nid from the snapfit models you get, just to show snapfit does not mean boring. I'd like to offer up my own two NDK for this thread. Although not that impressive compared to some (most) of these other conversions, I'm quite happy with them! Another good alteration of the baby carrier, this one purely using greenstuff and plasticard I believe. The first super-heavy tank I saw was the Mammoth in Command and Conquer. 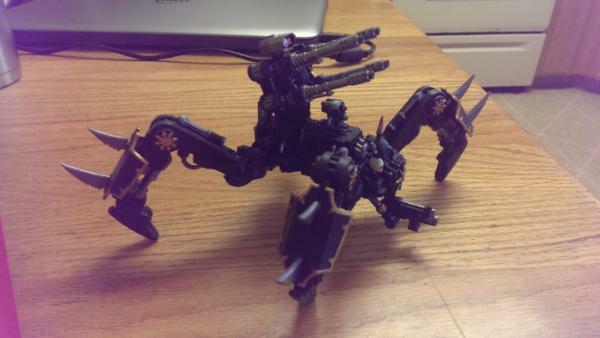 I thought it was awesome, with its seperate track units and double gun turret. I like that someone has made a 41st Millenium version. 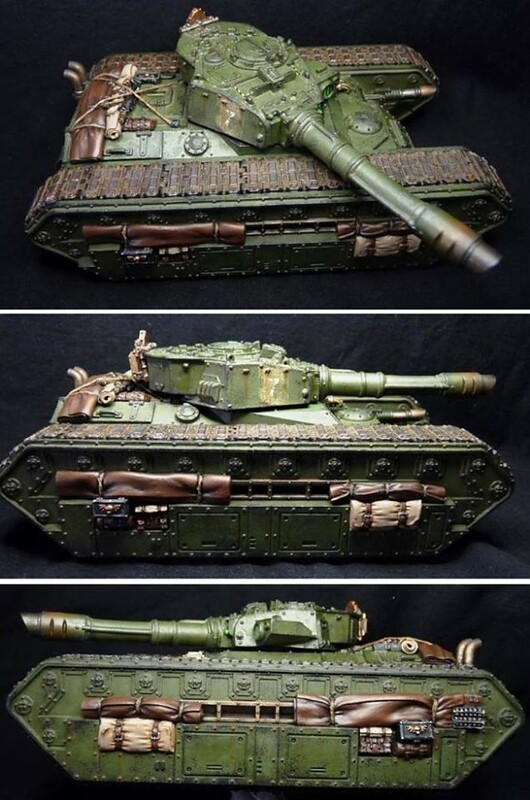 I found this on pinterest so have no info on it's making, but from what I can deduce, the(modified) track units and hull front are converted taken from a baneblade, and the core of the turret is from a Macharius. 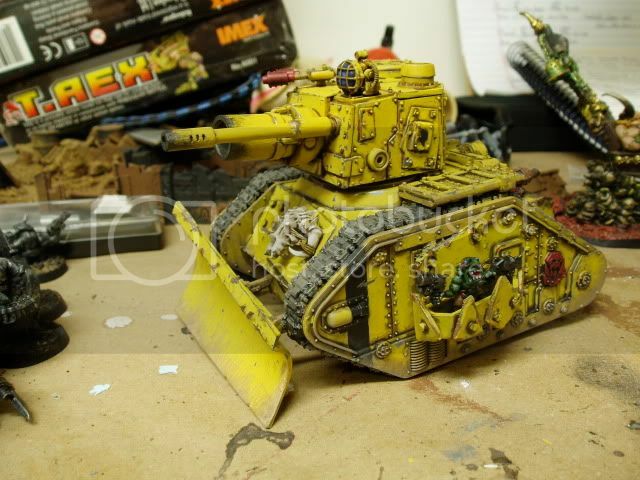 Another nice makeover of the Taurox, courtesy of Spikeybits. Swapping those ill-suited mini-track units for wheels does the model a major favour. Extensive stowage, and chopping the roof off evidently looks better too. That makes the Taurox actually worth buying ! I'll add one of my own conversions that I did. I LOVE the backward Russ look, I'll have to come back to that with an upcoming project concept that I have ticking along. Anyways, here's my own Vanquisher conversion. I fell in love with Blood and Skulls' Kingslayer gun, and wanted to put it on a Russ. I got it, and felt the gun was way too big for the turret, so I hull mounted it and used a substitute turret for the lascannon. That, and I used Land Raider tracks. They fit like a charm, once I cut off the teeth for the track guides on the hull pieces. The most outside-the-box conversion I made would be this one. Sentinel converted to UMP (Universal Mobile Platform) as I call it and it's played as a Armoured Sentinel with Autocannon. P.S. Col. Quaritch is badass! There are also two theing I can't tace credit for, but I found them really cool. The top one makes me think of a Churchill, while the lower ones scream Wehrmacht.. the SdKFZ 250/251 and the Tiger.. These are my Piranha conversions. It really bugged me how the pilots heads were just sticking out in the open for anything to target them. just a little plasticard and repositioning of the wings. 20k views. I'm pleased this is proving useful to folks. I'll continue to upload any novel and stand-out conversion ideas as I find them. Please keep your own ones coming, it's great to see them all in one place. As the Emperor once said "Knowledge is power. Combined knowledge is supreme power"
God i miss Walter the Wobot....its been so long since i read the old eagle dredds did walter rebel also? I couldn't tell you, last 200AD I read was in...well 2000 actually! @PossumCraft - I didn't think I could love the Spitfire more... I was wrong. These have made my day. I have some new creations that I havent posted on Dakkdakka before. I'll try and get them up tonight, if not this weekend for sure. Gotta show off my Word Bearers. I made a couple of jet-powered deffkoptas a few years ago, that I'm pretty happy with. 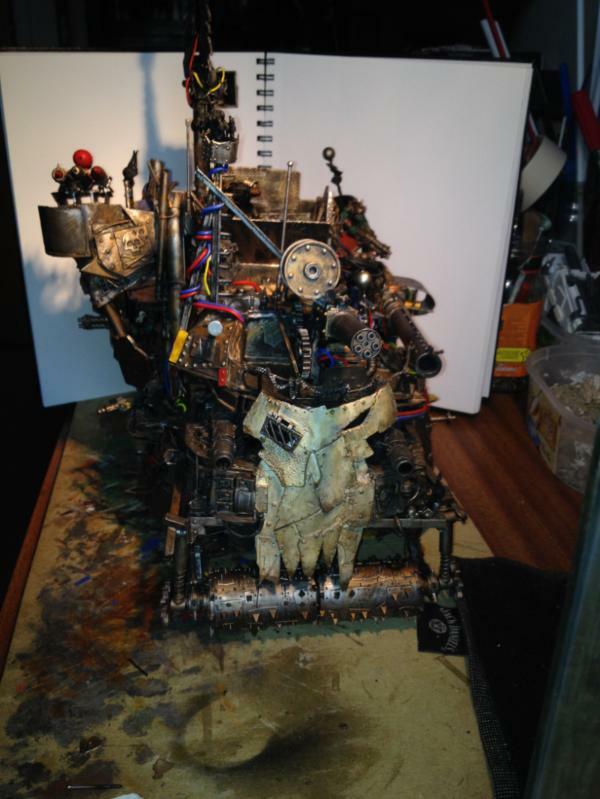 My best mate made this ork super mega battle fortress out of stompa and various other ork kits, plastic card, blood, lego and odds and sods, it has amazing interior details as well as working hanger and lighter along with interchangeable guns. Great job IMO. 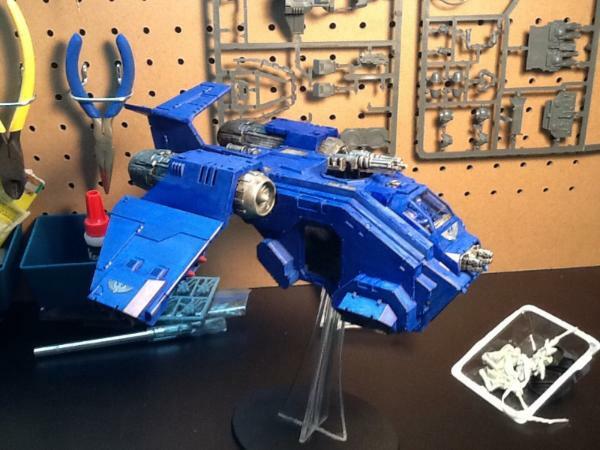 I'm very impressed with this storm talon conversion. Courtesy of Fallout Hobbies. Following on from the "Tall dreadnought" and "Improving on the Dreadknight" posts, here's one that brings together the best of both kits. Love the purposeful stride it's posed in, and the giant wrist blade. I had to convert the contemptor I did this past year because the plastic kit is absolute garbage. Pegasus Gunship. Conversion based on the iconic Cheyenne class dropship from Aliens. 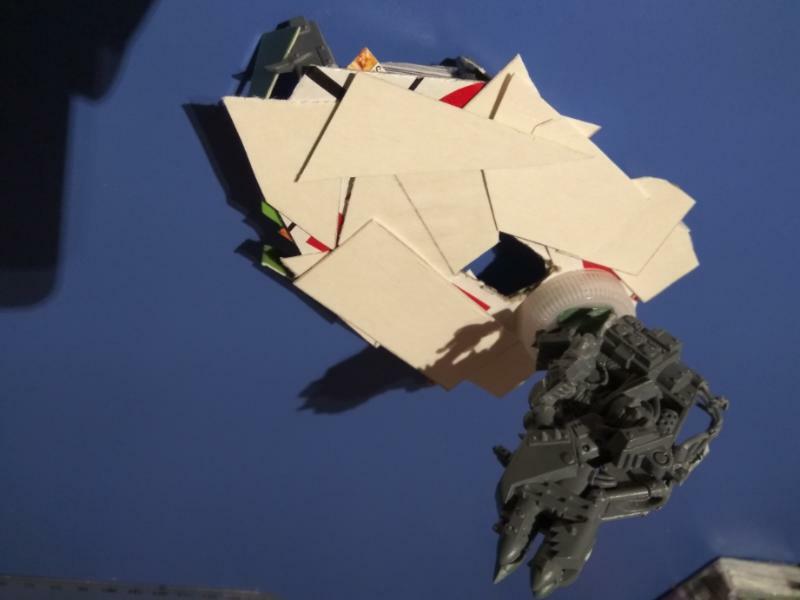 It appears to be based off the Cheyenne kit, with Stormraven wings, Valkyrie Vendetta cockpit, plus a ton of plasticard. Great kitbash that still has the prerequisite bulk to make it an Imperial flyer. 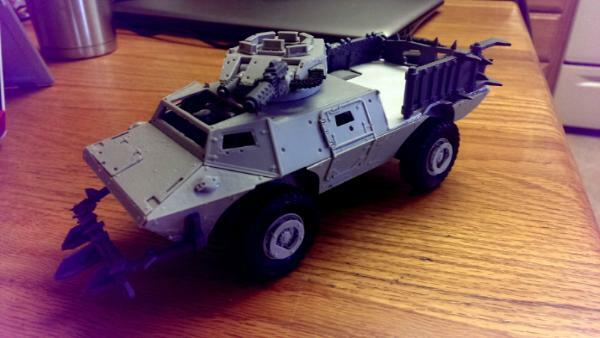 Wheeled Chimera APC. Another fantastic result of taking a Leman Russ Hull and turning it backwards. Just add chimera parts, sm bike wheels and plasticard. 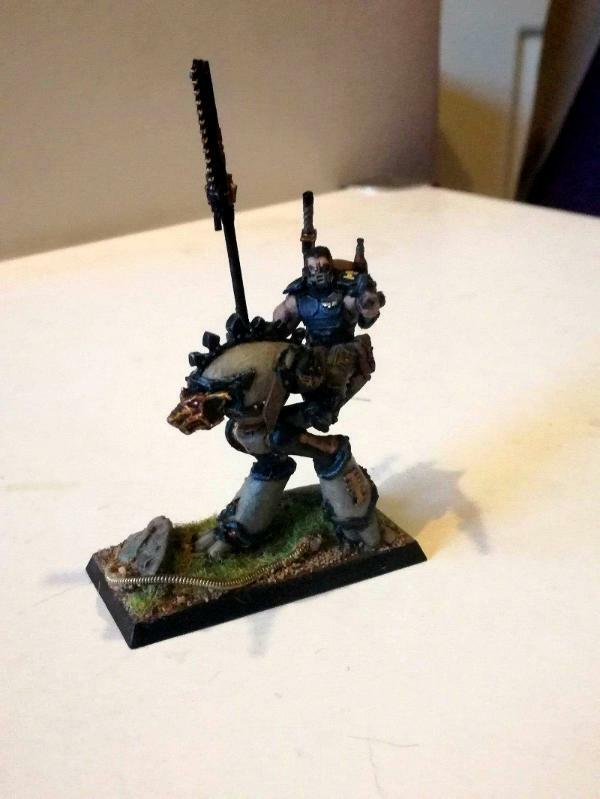 This thing looked HUGE until I realised that was a Death Korps trooper and bike wheels :p.
Excellent conversion, thanks very much for sharing!! I recently got my hands on some Bloodcrushers of Khorne. Delicious sculpts, one of those rare kits that I don't feel the need to alter anything But looking at the sprue I couldn't help but notice how much the juggernaut's main torso part resembles a motorbike's main body and fuel tank. Re-sculpt each end, fit wheel arches, a drive chain, front forks and handlebars and you have a bike that Ghost Rider would be jealous of. Nobody has attempted this yet from what I can see, its just an idea I have. Image of parts attached for reference. 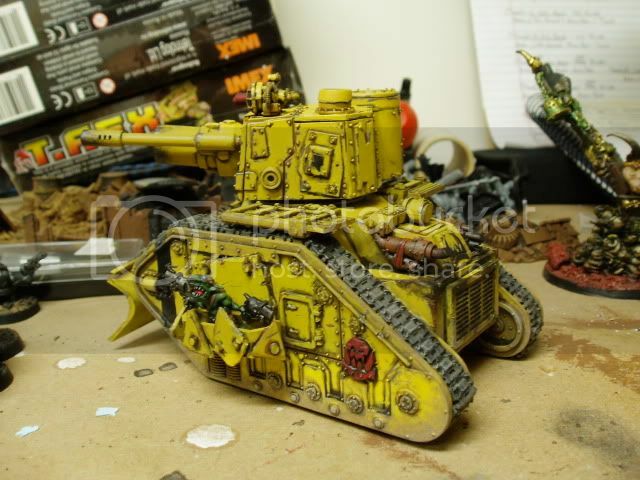 This is my own take on a turreted land raider, inspired by the Warhead Studios tanks and "Rogal Dorn" tank earlier on the thread. The turret is built from a spare Chimera chassis front and parts of the track armour, plus smaller spare parts from more kits than I can recall. Another fine example of how walkers just look outstanding with both paws on their main gun. The leg propped up on the tire is also a nice touch that compliments the pose well. I love the titanfall-style Killa Kan... That would look amazing on a Dread! Ork zeppelin (not done yet). 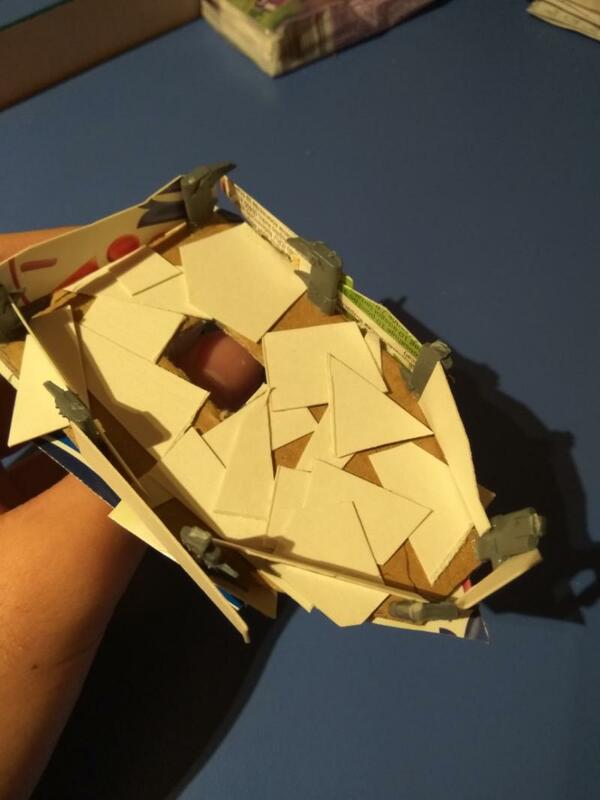 I know it's been done before, but the point of this one is that it can be made with literal garbage laying around your house and some glue. This one has some green stuff, true, but since making this I've worked out how to make it without any. This is a nice splicing of the Onager's hull with a dreadnoughts legs turned backwards, for a more AT-ST look. 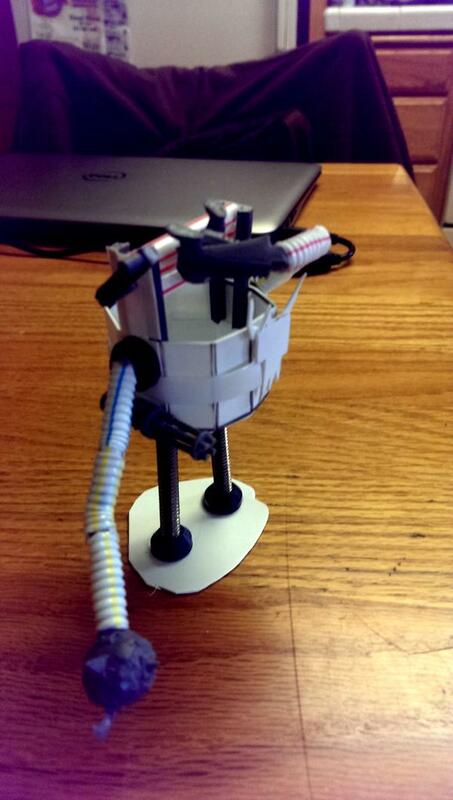 It'd also make a nice model for a sentinel come to think of it. I very much like this take on the Valkyrie. Replacing the turbofans and wingtip thrusters with the Tau engine/thrusters gives it a much more high tech look. Besides the extensive overhaul of the hull and engines, the wing and tail sections have been re-shaped. The door gunners are another cool touch. Ever since someone pointed out to me how much the land speeder looks like a flying shoe, it really put me off the model. 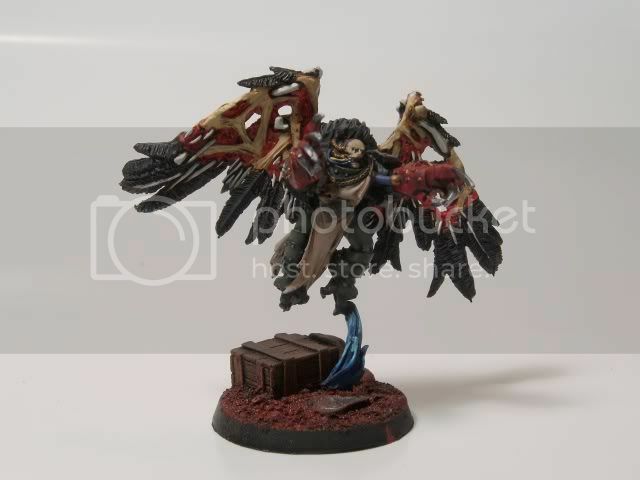 This conversion has reeled me back in, proves the model has potential to look flaming excellent with some decent wings. 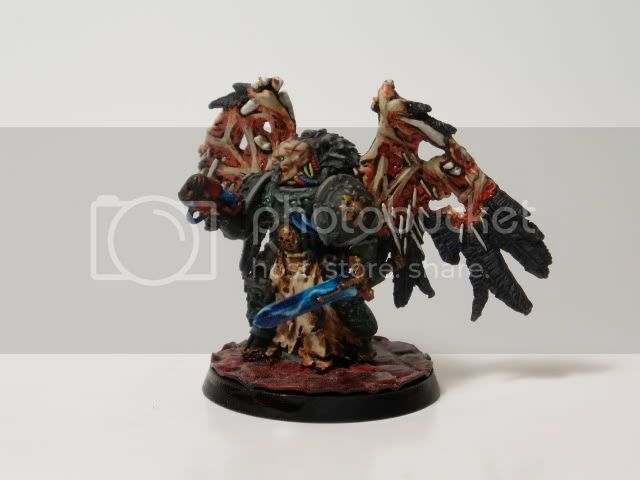 Can anyone enlighten me as to what kit the wings are from, as I'd like to build this myself. Thanks. I bought my brother two zvezda 1:100 scale tanks and some plasticar for Christmas, so that he could make them into grot tanks. He finished a project he was working on until recently and he finally started converting them. I'll post pictures when he's done with them. Did anyone else do something like that before? I would love to show him some inspiration. 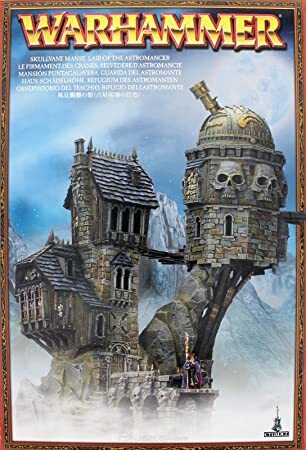 Off topic, has anyone tried to make something similar to a wall out of an Imperial Bastion? Caestus Assault Ram and Stormfang gunship. A fairly middling model and a downright ugly one that combined, make this beauty. The basic Ram model isn't bad, it always just struck me as a bit bland -the glass cockpit and wing turbines do wonders for it. Sylvaneth and Nurgle parts go quite well together, as you can see from these Plagueberers-Dryad combinations. Courtesy of Charlie Brett from the 40k Converters Facebook group. I'm sure, like me, a lot of you were impressed by the new Van Saar models. With a few Tau parts and minimal work, they make pretty excellent high-tech infantry squads, in this case as Gue'vesa / Human Firewariors. Mmmmm... great amalgamation of van saar and tau bits. Great paint job too. Thanks for sharing. You're welcome. I think we can expect to see a lot of great kitbashing on this very versatile kit. Plenty of potential with Guard and Eldar parts too. 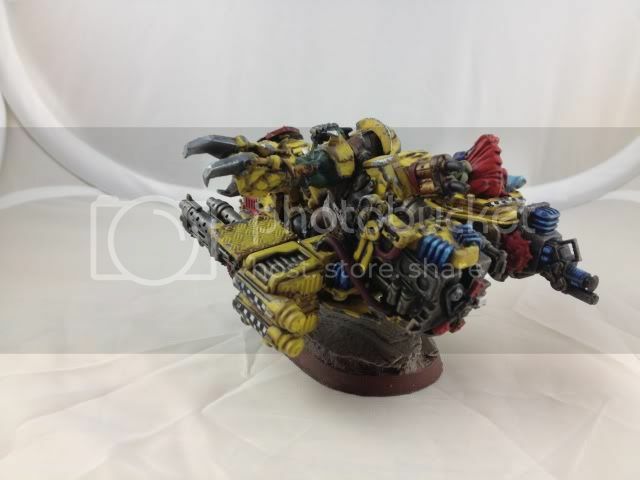 Has anyone found/done a death guard dreadnaught/hellbrute conversion using the legs of a dune crawler to create a spider-dread? Those plaguebaneths (sylvabearers?) look great. I humbly submit my most recent Daemon Prince. A combination of Flagellants, Rhino, Imperial Sector, and Chaos Vehicle upgrades to give the Sassy Nurgling a stature and battlefield role equal to his quality. Decided to keep everything other than our star in subdued colors to better draw the eye to everyone's favourite Nurgling. I’m starting a blog on here when I get my new iPhone tomorrow and can take better pics of my huuuuuuuuuuuge collection of unfinished models. I really enjoy converting and it slows me down from finishing projects but modeling is its own reward in my opinion, hopefully a blog will give me some added motivation to keep things moving along! Anyway I’ll drop some stuff here as I take pics. 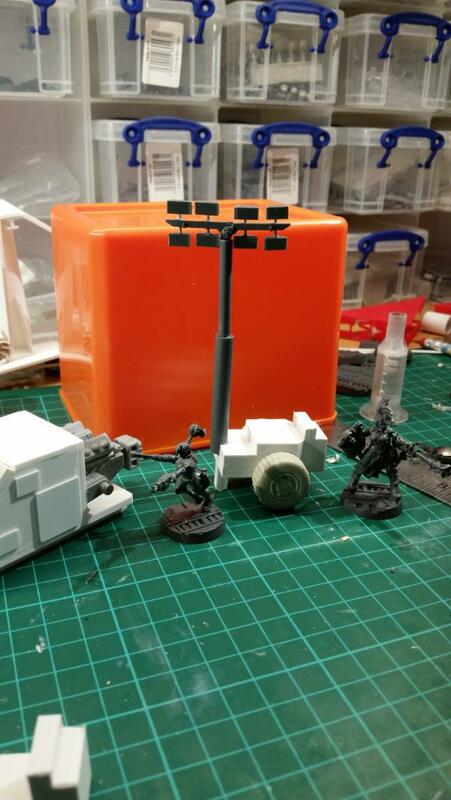 Adeptus Titanicus models don’t come with all the weapon options so I’m kitbashing my own stuff with the help of 3D printed pieces. I made kitbashed some macro Gatling cannons for Warlords, a carapace warp missile launcher and turbo lasers for Reavers, and then a pair of Reaver melta cannons. A bunch of those pieces are from Contemptor dreadnought weapon arms I’m not using. 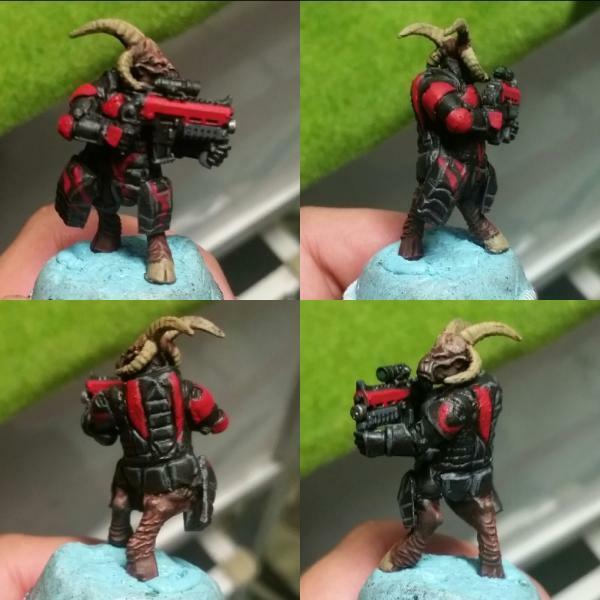 Here's my take on space beastmen. Not as good looking as the ones posted on this thread but currently my personal favorites on my hobbytable. I love beastmen space marines, I almost did a Khorne Beskerker force like that but then crunched the numbers. I never would have thought to use a dreadnought torso to build an aircraft. 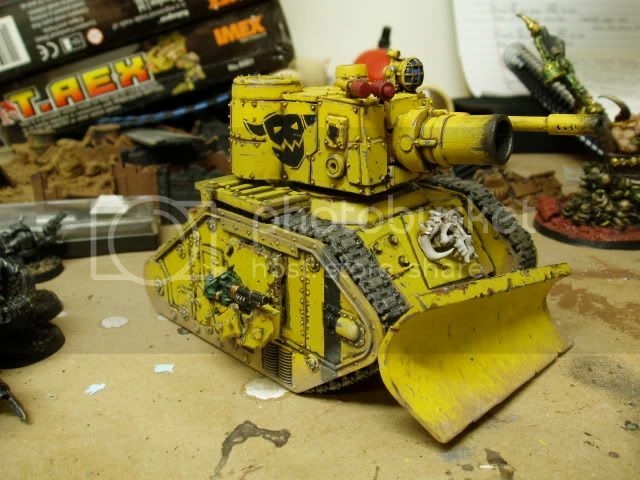 Spaniel Williams of the 40k Converters Facebook group did, and a great job he did. It's entitled the "Eagle Owl" and is a Squat bomber / ground attack craft. The tail guns are a particularly nice addition. Parts used: Redemptor dread torso, Aquila buttresses and ladder from the Basilica set, Stormtalon gunship wings and engines, various weaponry, plasticard. I have done a few small conversions like mad catting my deredeo, did some head swapping for a tzeentch daemon prince and made a squad of knightly power lancing vanguard vets. Most of us would be in agreement that the Goliath truck is one of the best 40k vehicle designs of recent years. Surprisingly, the chassis also makes a great body and cockpit for a large walker like an Imperial Knight. There are quite a few of these knocking around on various conversion forums, these trio were some of the nicer ones I found. Courtesy of Mi He from the 40k Converters facebook group. Another one of my "cohesive" unit poses, this time with an assault squad. Fairly straightforward idea -1st rank fighting in a defensive shield line, 2nd rank running forward to counter-charge and dish out the pain. The Forge World boarding shields are a great piece of kit, particularly the way arms can be posed to poke weapons through the loophole of the shield. Excuse the picture quality, I'm still getting the hang of miniature photography. Following on from earlier posts on Stormtalon/Stormhawk aerodynamic improvements, here is a very different approach, in which the tail of the Stormhawk is placed in front of the cockpit, and the thrusters and wings moved forward, for a more Viper-esque look. Stormhawk and Nephilim parts also used. 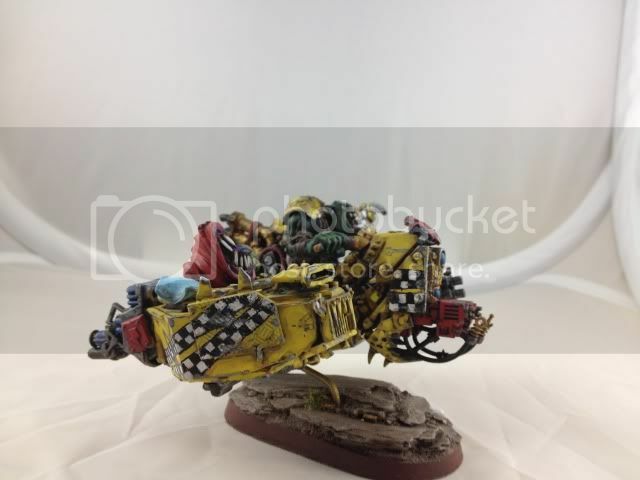 Not being a fan of the silly and impractical, the most pleasing Ork vehicles to me are ones that look like an effective design while still retaining the crudeness that is at the core of greenskin engineering. This "F14 Orka Hunta" nails it. Built around a core of 3 dakkajets. Thanks to Daniel Lister of 40k Converters on Facebook. Kroot "Chocobo" cavalry. A great combination of heavily converted AOS Stormcast Griffon mounts and Kroot. What struck me about these is how fitting Giant Death Chickens looks as mounts for Kroot. 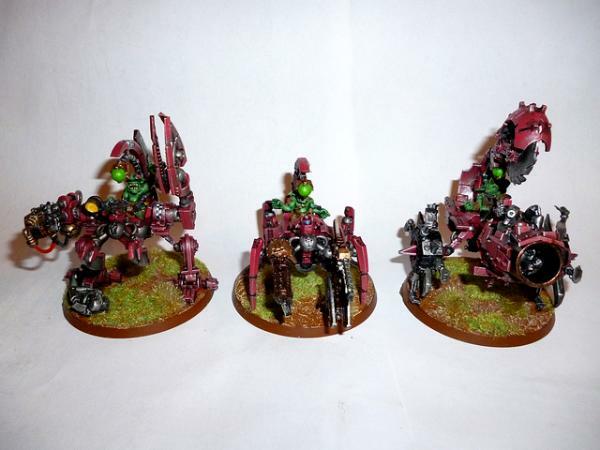 Giving modern kits the Oldhammer treatment: These are Thrugg's Ork Raiders. I much prefer this toned down look and the more practical padded armour to the more modern ones. Mostly Green Stuff sculpting from what I can tell. Hey What kits did you use for the rider? Particularly the head.